Now that the Bleach manga is finished, creator Tite Kubo has more time to focus on things besides drawing and writing. Things like Bleach cosplay, for example. Kubo recently began uploading sketches to his Twitter account, as well as a series of photos. The text reads, “This is Bleach’s Tite Kubo.” So yes, that’s Kubo dressed as Bleach character Mayuri Kurotsuchi. He’s been uploading other photos in costume. 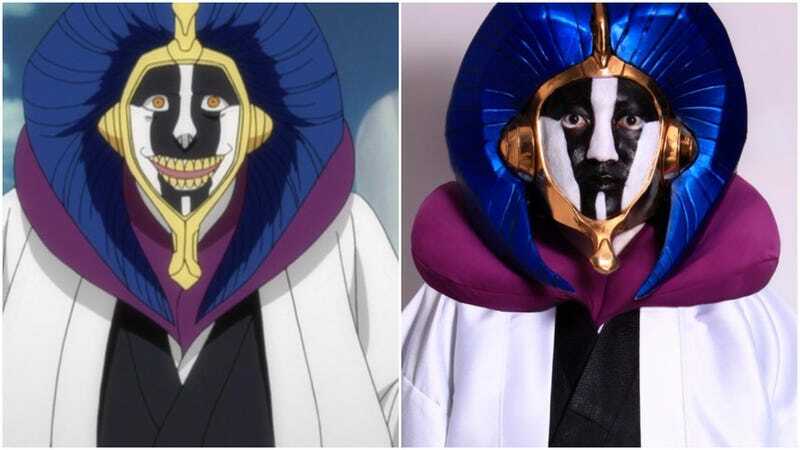 Let’s hope he makes his way through cosplaying all the Bleach characters.